We still don't really know what happened to Malaysia Airlines flight MH370, which vanished en route from Kuala Lumpur to Beijing in March 2014. It's possible we'll never know. But with a new satellite surveillance system agreed by the United Nations, it should never happen again. 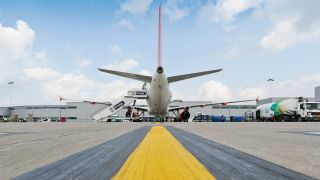 Representatives from more than 160 countries have agreed a system proposed by the UN's International Telecommunication Union, which would allow for real-time tracking of aircraft anywhere in the world. Right now, ground-based radars are used to track flights. That's fine in densely-populated areas like Europe and the United States, but leaves huge gaps over the open ocean and at low altitudes. The new system would instead see planes send their location every 15 minutes to satellites, which can cover the entire planet. The transmissions will be sent using a system called automatic dependent surveillance-broadcast, or ADS-B, which is currently used by aircraft to communicate with ground stations and other aircraft. As such, there shouldn't be any need to install new systems on aircraft to ensure compliance. Nonetheless, airlines have a year to make sure that their planes can cope with the new system, which will become mandatory in November 2016. "In reaching this agreement... the International Telecommunication Union has responded in record time to the expectations of the global community on the major issue concerning global flight tracking," the organisation's secretary general, Houlin Zhao, said in a statement.